People are always asking me why I don’t make an eye cream, or a night cream, or a neck cream. How come we have only two creams? Our retailers say more creams would fill up their shelf space and be good for business- so why don’t we make more of them? The fact is, there is no need for extra creams. Based on my 30 years experience as an esthetician, I don’t see the need for eye creams and night creams to properly look after your skin. For the most part, they are just marketing ploys. When you see through the hype, achieving beautiful skin becomes a lot simpler. Why would you put a special cream on the thinner, more delicate skin under your eyes and then put a less-than-special cream on the rest of your face? Or, if a cream is not good enough to put on your more delicate skin, why would you use it anywhere on your face? Of course, the skin under your eyes needs a really good moisturizer that has no harsh chemicals in it. But so does the rest of your face! All of your face will respond to loving care, and only the best is good enough for all of it. That’s why I make creams that can be used on the thinnest, most delicate skin, such as under the eyes, and recommend it be used all over the face, neck and décolleté. A thin layer of one of our rich moisturizers will be sufficient for the majority of the skin, and adding a second layer to under eyes will provide the extra moisture this delicate skin is looking for. The same goes for night cream. You don’t need a different cream at night from the one that works for you in the daytime. The reason you may be seeing a different result from the cream you use at night is because your skin is protected from environmental stressors while you are in bed, and your body goes into healing mode while you are asleep. Your chemistry changes and your body, including your skin, restores itself. The results are caused by your body, not by your special night cream. The key is to find one good cream that really works for you and then use it, day and night, on your face, neck and décolleté. One good organic moisturizer will do it all. If you are not getting these results, you need a different cream – not different creams for different parts of your face, or different times of day or night. The best organic moisturizers are oil-based and free of alcohol. 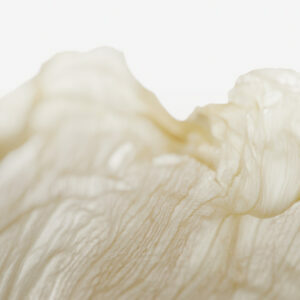 We make two organic moisturizers for dry skin, each derived from the finest organic oils and botanical extracts. 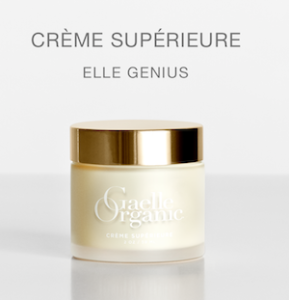 One, Crème Supérieure, is for normal skin, the other, Ultra Sensitive Crème, is for especially sensitive skin. Both of them are free of alcohol and suitable for day and night use, including on the sensitive areas under the eyes. Their results speak for themselves!